The DP-10plus Digital Piano by Gear4music is equipped with a weighted 88-key hammer action keyboard, three levels of touch sensitivity, as well as three expression pedals, giving an authentic and realistic playing experience. With 26 voices, 3 EQ setting, Reverb, Chorus and Flanger, the DP-10plus also offers a variety of great sounds and expressions. 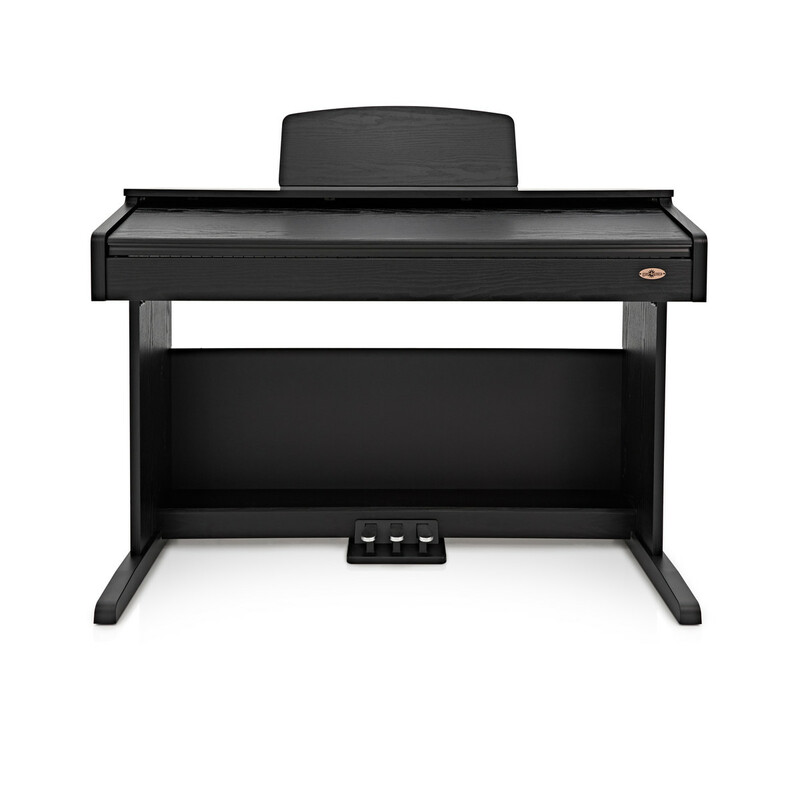 Presented in a Matte Black wooden cabinet, this piano offers fantastic value for money for beginners and advancing musicians. The DP-10plus Digital Piano by Gear4music has been designed with sound and playability in mind. 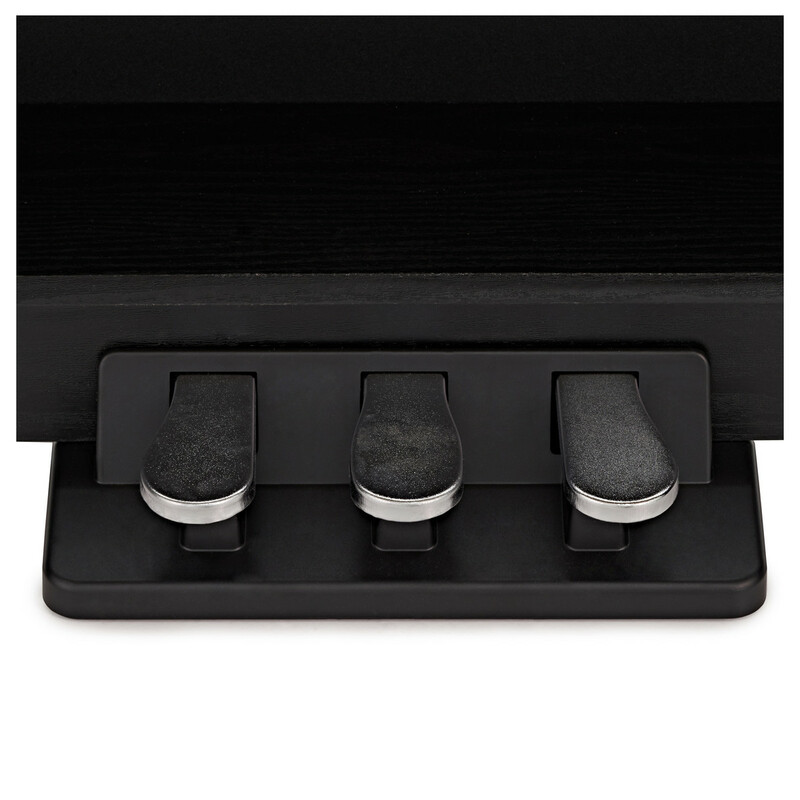 With 26 manageable voices, this piano offers great sound without overwhelming the user with buttons and manuals. The DP-10plus also features Dual and Split functions, meaning you can layer two sounds on top of each other, or split the keyboard to have one sound in the top half, and one in the bottom, making the DP-10plus an incredibly versatile piano. As well as having a great selection of voices, DP-10plus has four levels of reverb, three levels of chorus and a flanger effect, adding to the versatile sound of this piano. 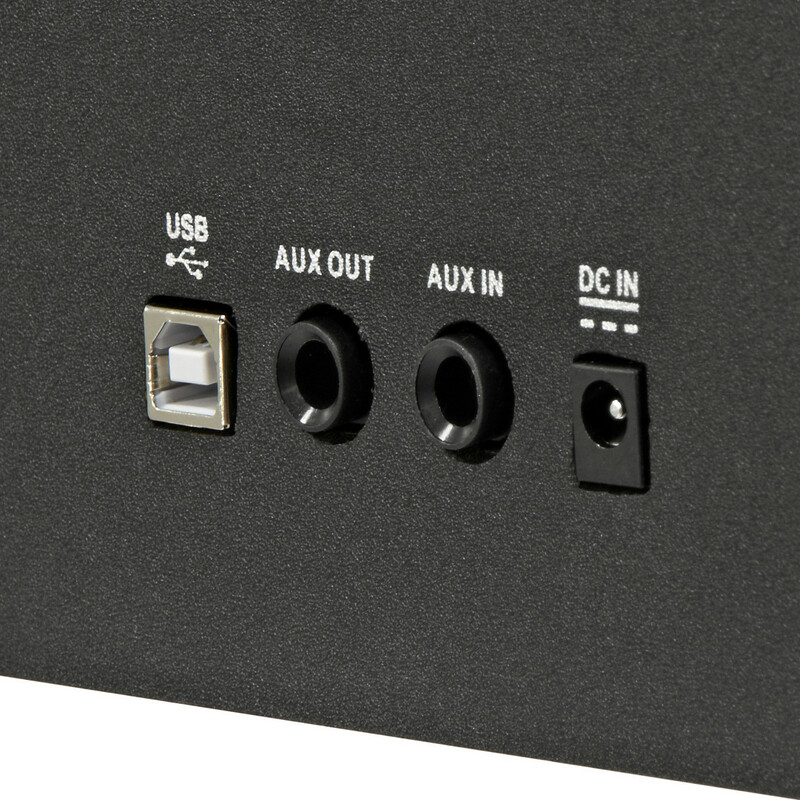 This piano also features three EQ settings, giving the user the option of standard, classical and modern sounds, offering an adaptable sound that suits the user. 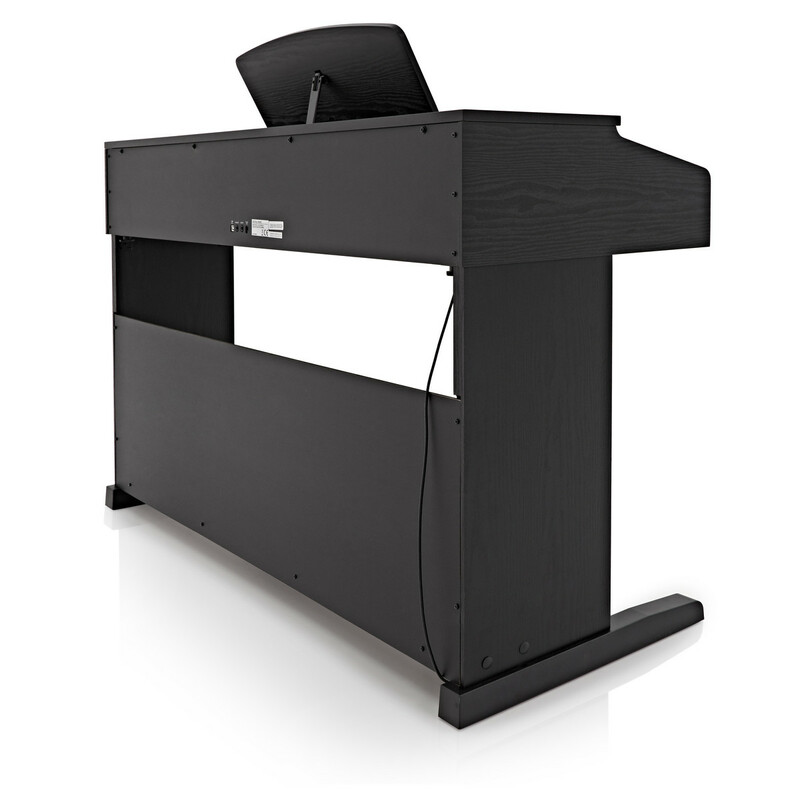 As well as great sound, the DP-10plus includes useful practice features such as tempo tap, bleep metronome, dual headphone connector and integrated music stand make this the perfect digital piano for home practice and lessons. With four levels of touch sensitivity, hammer action keys and a classic 3-pedal board, the DP-10plus offers a realistic piano playing experience and is capable of providing all of the expressive qualities of an acoustic instrument. 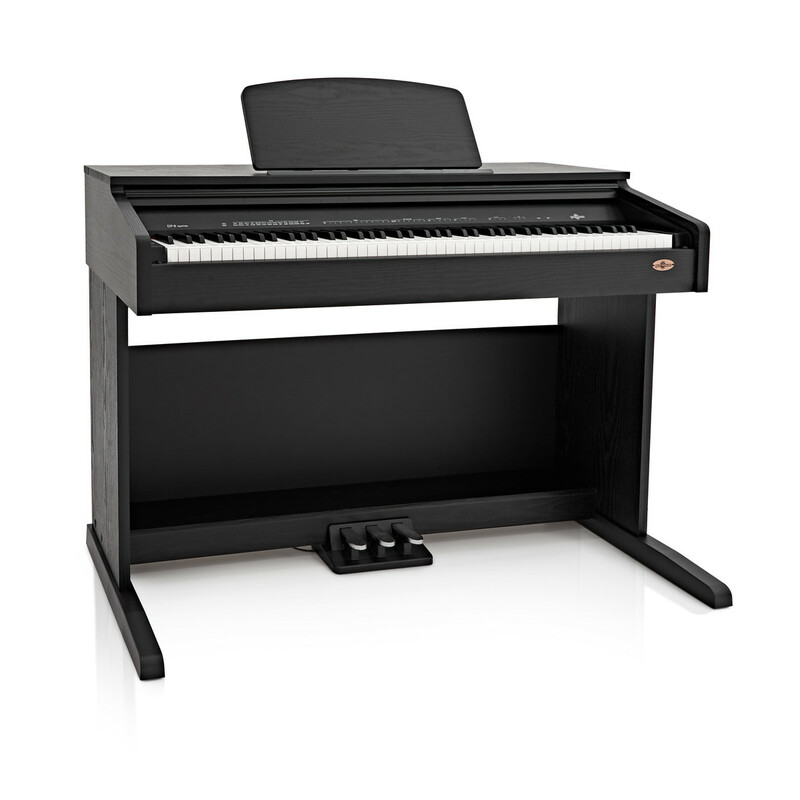 The classic looks, professional features and stunning sound of the DP-8 make this piano a great alternative to an acoustic piano, at an incredibly attractive price. This option is a 'to your door' service. You may need to help the delivery driver as this product comes packaged in large boxes! There are several options to select, including AM and Saturday services. This option may not be suitable if you are unable to help the driver if required, or if you need the piano delivering upstairs but you don't have anyone else available to help.